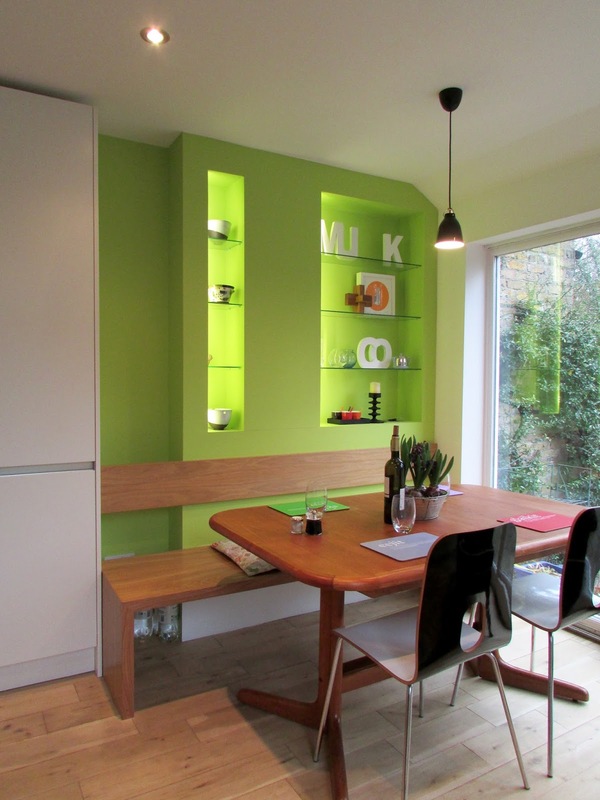 A large townhouse where clients wanted to add a dining room at the back. 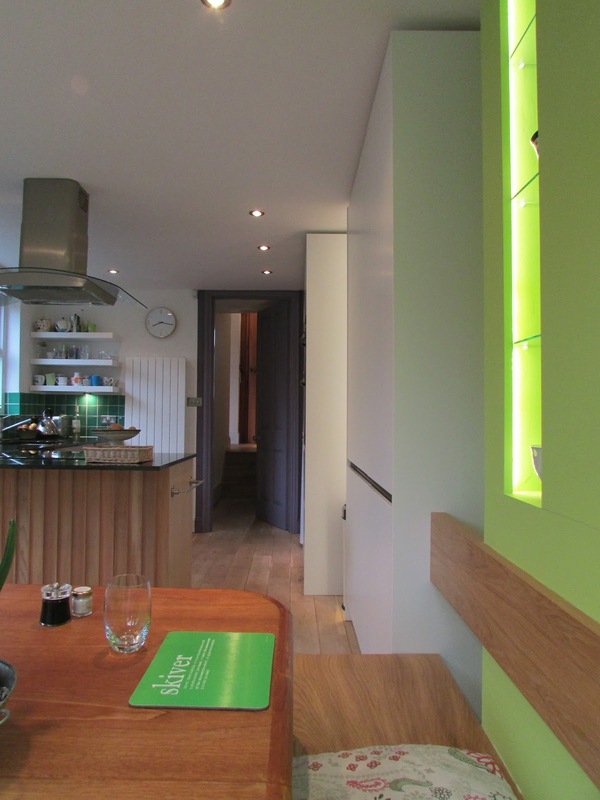 I suggested instead to open up the front of the house to add more flexible space. 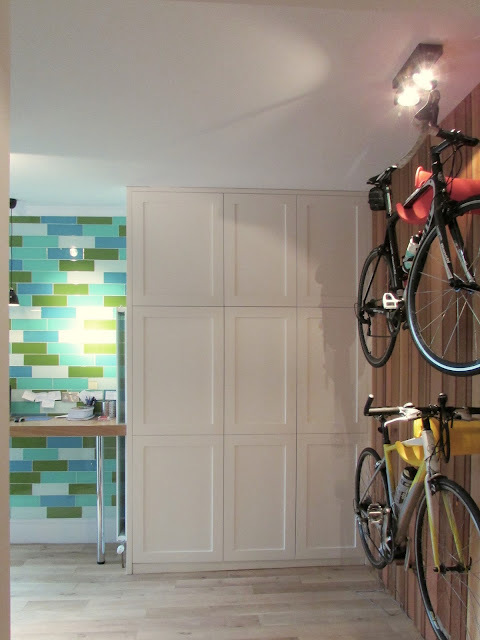 The old dining room became a bike storage - utility - workstation - music room, with a large open bay to the hallway. In the kitchen we added lots of storage space and a dining area with a built-in bench. 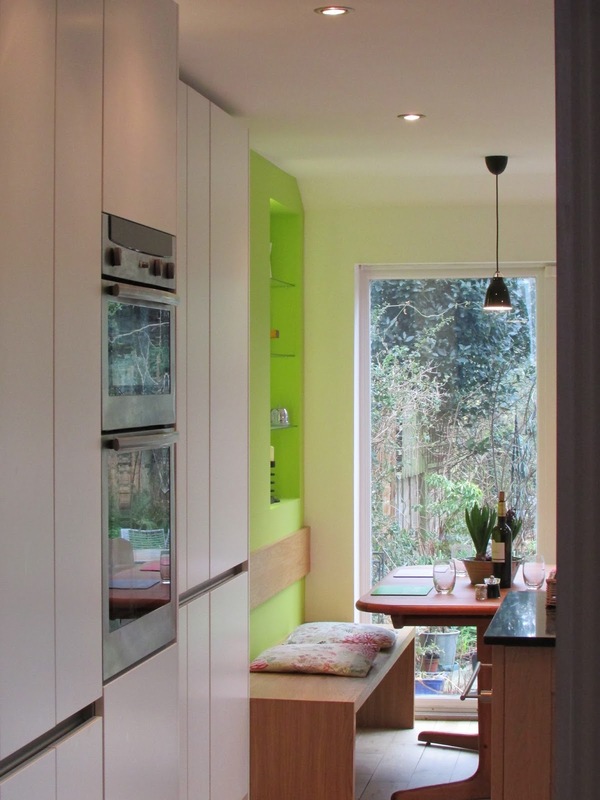 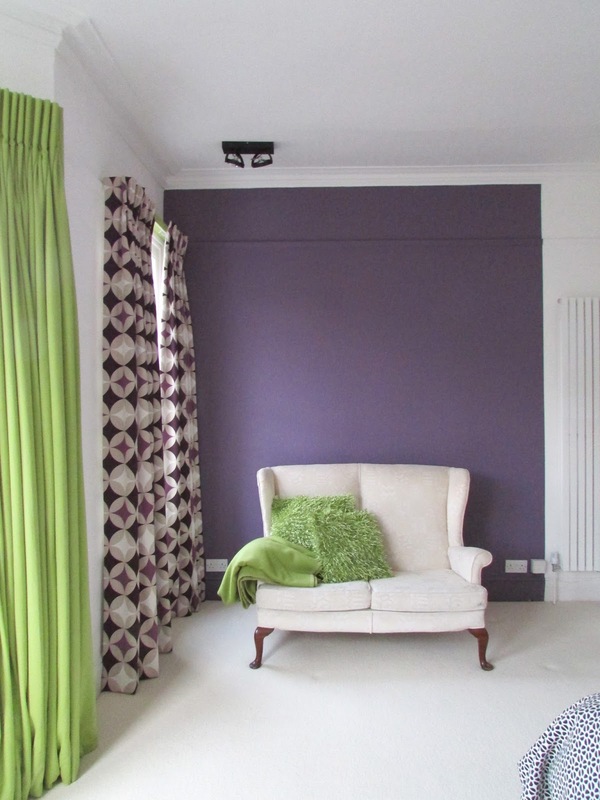 Colour scheme: wood, bright green, aubergine and white. 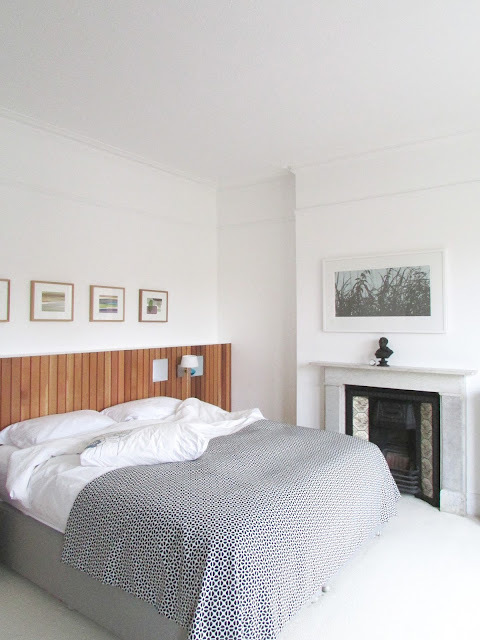 Clients' verdict: great use of space and love the layered woodwork.